How Much Do You Really Know About Pain? This Discussion About Pain May Surprise You! Growing up we still believed the notion that if you were in pain, you had an injury or were damaging a part of your body. That narrative is now shifting as we begin to understand the mechanisms underlying pain a bit more. It doesn’t make it any easier to explain, yet, because pain is so subjective and so personal to us on many levels. 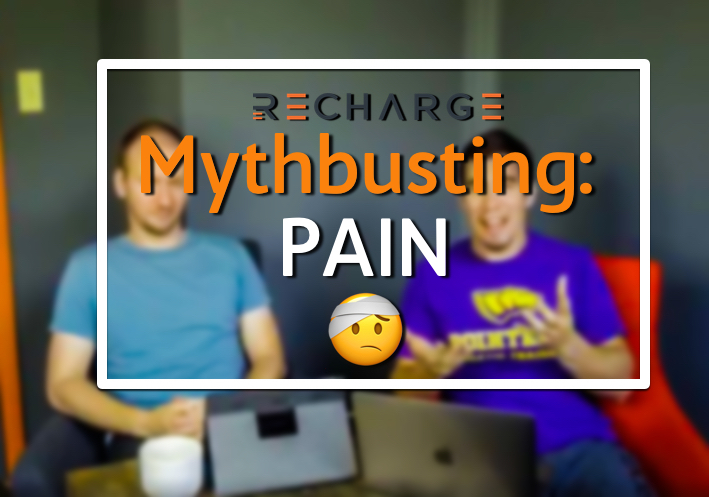 That difficulty leads us to using a lot of examples in the mythbusting episode. It is difficult to judge the scale of pain. Does a paper cut hurt worse than a broken bone? How do we know? If we can’t determine a cause and effect scale for it, then how can we justify saying that one always has to cause the other? This idea of a lack of causation for pain is now strengthened by imaging research. We know that a group of people in pain who have imaging will display similar structural images as a group of people not in pain. That means your friend who has knee pain is just as likely to have a torn meniscus as you, a person without knee pain, is. This theme is being shown throughout every joint in the body, especially the low back. That last part of this myth is the complexity of pain and how it presents in our body. More often than not where we experience is not always what is causing our pain. When clinicians are able to do thorough examinations we are able to show this. Sometimes it is a movement, sometimes it is a muscle. More often than not, it is a lack of activity or variability of activity that we need to reintroduce. The narrative growing up surrounding pain in almost any high school weight room was the idea of “no pain, no gain.” Although we feel as though as a society we are improving on this mindset it is important to address why this is. Often pain couples with hard work and pushing oneself and no one wants to appear as weak. Yet, there is a considerable difference between discomfort and pain. Differentiating between these concepts is difficult because one, many of us don’t ever challenge ourselves into discomfort, and two if we do, we push beyond that point of fatigue. It is this push beyond our limits even when our body and mind does give us some feelings and sensations of warning, such as pain, that gets people in trouble. Pain and injury is inevitable throughout life, but developing a healthy relationship with pain is key. Often the conversation around pain focuses on what everyone wants immediately, a solution. Often time the quickest solution for people in pain is to turn to pain killers. For the short term, pain killers can be beneficial at helping manage the severity of the pain but in recent years has taken a turn for the worse. These short term solutions have turned into long term problems for individuals, for healthcare, and for society. 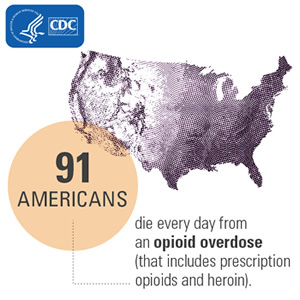 There are problems with addiction and negative health consequences from long term pain killer use. This has begun to get highlighted more and more recently due to its detrimental effects. Yet, it stems directly from our lack of understanding of pain, impatience with recovery from pain and injury, and a healthcare system that makes it difficult to be proactive with our health. Pain killers can be beneficial, yes, but not as a long term solution. Physical activity and lifestyle changes are still the most important factors we can address when it comes to our health and overcoming injury or pain. I hope we addressed a few of the glaring myths we hear on a daily basis. Pain is a complex issue and our understanding of its mechanisms is still under scientific scrutiny. Yet, we’ve begun to put bits and pieces of the pain puzzle together and as we pull away to look at the picture there are a few things that are clear. Pain and injury are inevitable throughout life. Pain is significantly affected by our environment, emotions, and past experiences with pain. The human body is robust, resilient, and adaptive with almost anything that is thrown at it. These are the themes we like to highlight and help people understand their own aches and pains. We hope that we can continue to educate our local community to reflect this!